The globus pallidus (GP) is thought to be involved in cognitive processes controlling actions, and thus is a possible target for deep brain stimulation (DBS) in HD patients. Beste and colleagues1 report a case control study of patients who received GPDBS, and measured patients’ error monitoring processing, an output mediated by the basal ganglia known to be altered in HD. The preliminary results suggest that the GP-DBS is safe in this population and yields positive results with respect to cognitive function. In the past decade, transplantation of fetal striatal tissue into HD patients has emerged as an experimental treatment; however, recent evidence suggests that mutant huntingtin (mHTT) has the ability to spread between cells. 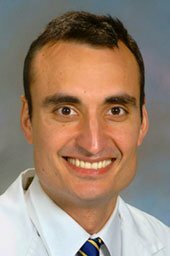 Cicchetti and colleagues2 examined intracerebral allografts transplanted into patients approximately one decade ago, who subsequently died secondary to HD progression. The results showed mHTT aggregates in the extracellular matrix of the donor tissue, suggesting that mHTT has the ability to spread, and supporting non-cell autonomous effects of mHTT. How mHTT spreads will be the subject of further study. Finally, PREDICT-HD has released their report on a decade-long trial that uses longitudinal data from premanifest HD individuals, reporting on biomarker and clinical progression assessments.3 This work has documented 39 different variables, 36 of which show changes that can be measured between premanifest and control individuals, and will inform the design of future clinical trials for treatments aimed at individuals with premanifest HD. Huntingtin (HTT) has been shown to be functionally involved in aspects of axonal transport, and researchers are exploring axonal physiology and transport as functional targets for drug discovery in HD. Smith and colleagues4 report on their new heterozygous knock-in mouse model of HD, which recapitulates motor deficits, inclusion formation and decreased striatal volume in HD. Synaptic, cytoskeletal and axonal transport proteins such as kinesin, dynein, and dynactin are altered in this mouse model prior to neurodegeneration, suggesting that the proteins may be a good target for pre-symptomatic drug discovery. Marangoni and colleagues5 use HD mouse models crossed with YFP-H transgenic mice, which express the fluorescent marker protein YFP in a subset of neurons, to investigate axon pathology and examine axonal swelling in relation to HD progression. Interestingly, age-dependent axonal swelling was evident in a full-length homozygous knock-in HdhQ140 model, but not in the widely used transgenic hemizygous R6/2 model. This axonal swelling did not correlate with aggregate formation, indicating that soluble mHTT may affect axons and axonal transport. Finally, Wong and Holzbaur6 report on HTT and HAP1 involvement in axonal transport of autophagasomes in LC3-GFPmice. By live-cell imaging they demonstrate that mHTT causes a defect in axonal autophagasome transport, leading to inefficient degradative functions. The role of HTT and HAP1 in axonal transport seems to be mediated by binding to motor axonal proteins such as dynein, kinesin, and dynactin. This decreased degradative capacity leads to an increase in accumulation of mitochondrial fragments. Gene knockdown and silencing are powerful tools for scientific discovery and leading possibilities for HD therapy. In a recent Nature Medicine report,7 Wang and colleagues describe their use of the crerecombinase system to selectively knock down mutant huntingtin (mHTT) in brain specific regions in a full-length, floxed-exon1 BACHD mouse model. They found that lowering mHTT in striatal neurons alone does not ameliorate all phenotypes, and that cortical knockdown of mHTT has consequences for striatal synaptic pathologies. This confirms the non-cell autonomous role of HTT and shows that HTT-lowering strategies in multiple brain regions will be needed. Drouet and colleagues8 examined the use of short hairpin RNA (shRNA) targeting single nucleotide polymorphisms (SNPs) specific to the mHTT allele. Their shRNA platform that targets SNPs in exons 39, 50, 60 and 67 is effective in silencing gene expression in lentiviral rodent models, BACHD mice, and neural stem cells derived from HD patient embryonic stem cells. Importantly, in cells with glutamine repeats of 44, brain-derived neurotrophic factor (BDNF) axonal trafficking is impaired. When these cells are treated with allele-specific shRNA, BDNF vesicular trafficking improves.Hu and colleagues9 report on the optimization of single-stranded silencing RNAs (ss-siRNA). The report describes modifying the ss-siRNA length, chemistry, lipid conjugation and structure by introducing mismatches. They found that certain ss-siRNAs with optimized mismatched bases relative to the expanded CAG tract were potent inhibitors of mHTT, both in vivo and in the HdhQ175 knock-in mouse model, as well as silencing a Q47 allele in patient-derived fibroblasts. 1 Beste C, Mückschel M, Elben S, J Hartmann, et al. Behavioral and neurophysiological evidence for the enhancement of cognitive control under dorsal pallidal deep brain stimulation in Huntington’s disease. Brain Struct Funct. 2014 May 31. [Epub ahead of print] PubMed ID: 24878825. 2 Cicchetti F, Lacroix S, Cisbani G, Vallières N, et al. Mutant huntingtin is present in neuronal grafts in huntington disease patients. Ann Neurol. 2014 May 6. doi: 10.1002/ana.24174. [Epub ahead of print]. 3 Paulsen JS, Long JD, Johnson HJ, Aylward EA, et al. Clinical and biomarker changes in premanifest Huntington disease show trial feasibility: A decade of the PREDICT-HD study. Front Aging Neurosci. 2014;6:78. Prepublished online Mar 13, 2014. doi: 10.3389/ fnagi.2014.00078.0081528. 4 Smith GA, Rocha EM, McLean JR, Hayes MA, et al. Progressive axonal transport and synaptic protein changes correlate with behavioral and neuropathological abnormalities in the heterozygous Q175 KI mouse model of Huntington’s disease. Hum Mol Genet. 2014 Apr 30. [Epub ahead of print]. 5 Marangoni, M. et al. Age-related axonal swellings precede other neuropathological hallmarks in a knock-in mouse model of Huntington’s disease. Neurobiol Aging. 2014 Oct; 35(10):2382-2393. doi:10.1016/j.neurobiolaging.2014.04.024. 6 Wong YC, Holzbaur EL. The regulation of autophagasome dynamics by huntingtin and HAP1 is disrupted by expression of mutant huntingtin, leading to defective cargo degradation. J Neurosci. 2014 Jan 22; 34(4):1293-305. doi: 10.1523/JNEUROSCI.1870-13.2014. 7 Wang N, Gray M, Lu X-H, Cantle JP, et al. Neuronal targets for reducing mutant huntingtin expression to ameliorate disease in a mouse model of Huntington’s disease. Nat Med. 2014 28 Apr;20:536-541. 8 Drouet V, Ruiz M, Zala D, Feveux M, et al. Allele-specific silencing of mutant huntingtin in rodent brain and human stem cells. PLoS One. 2014 Jun 13; 9(6):e99341. doi: 10.1371/journal.pone.0099341. eCollection 2014. Welcome to the 8th edition of HD Insights, released at the 8th European Huntington Disease Network Plenary Meeting in Barcelona, Spain. We are grateful to the Huntington Study Group (HSG), our sponsors, and our more than 1500 subscribers for their continuing support of our mission. HD Insights relies on the support of firms dedicated to developing novel treatments to bring the latest research to the international HD research community. If you are interested in becoming a supporter, please contact me at editor@hdinsights.org . This issue explores the variety of animal models currently used to support ongoing discovery in HD pathology and drug development. Dr. Mahmoud Pouladi provides an overview of HD animal models based on his exhaustive review published last September in Nature Reviews Neuroscience. Dr. Hoa Nguyen describes his research at the University of Tuebingen, developing a BACHD rat model and evaluating the cholesterol analog olesoxime in vitro and in vivo, and his clinical work with predictive genetic testing. The HD highlights of June’s MDS Congress in Stockholm, Sweden give a glimpse into the future of HD trials, while Dr. Christiane Dascher-Nadel describes the latest European initiative to advance stem cell research for HD through the Repair-HD project. We are also excited to announce the first Insights of the Year competition, in which our frequent contributor Dr. Lise Munsie has nominated eleven publications from the last year in HD basic science, clinical, and biomarkers research for consideration by our Editorial Board. The board will vote for the most influential paper in each category, and the authors of the chosen papers will be invited to present in a special panel session at November’s HSG meeting in Minneapolis, Minnesota. We welcome new contributors, suggestions for topics, and suggestions for how we can better serve you. If you or someone you know have ideas that you would like to share with 1500 HD researchers and clinicians around the world, please contact me at editor@hdinsights.org . HD DISCLOSURES: DR. DORSEY RECEIVES GRANT SUPPORT FROM LUNDBECK AND PRANA BIOTECHNOLOGY AND CONSULT S FOR AMGEN, LUNDBECK, AND MEDTRONIC. Kingdom and Germany. Funded under the Seventh Framework Programme (FP7), the project aims to enable efficient translation of experimental stem cell therapies to preclinical work in small and large animal models, and readiness for clinical application. 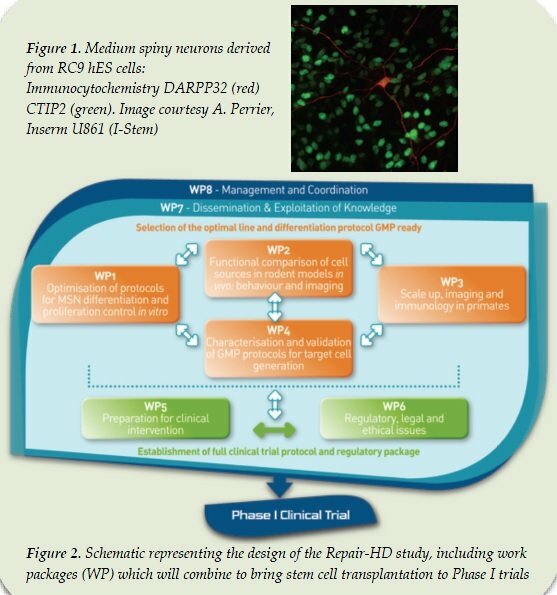 Repair-HD will investigate fundamental principles of fate determination and lineage selection for effective differentiation of human pluripotent stem cells from different sources through to authentic medium spiny neurons, with a high degree of reliability, stability and reproducibility, as required for clinical application. The Core Assessment Program for Intracerebral Transplantation in Huntington’s disease is a well-established protocol for assessment of neural transplant patients, 1 but it fails to incorporate recent developments in test design, and lacks key clinical dimensions. Since the original test battery was developed, more focus has been placed on developing quantitative motor assessments; HD-specific quality of life measures; and improved neuropsychiatric measures. Repair-HD will evaluate and validate new assessment tools in language and social cognition, quality of life, and behavioral deficits using performance-based measures for longitudinal assessment of disease progression. HD has devastating effects on patients’ health and quality of life. Cognitive deterioration, behavioral abnormalities and motor dysfunction all play a role. Even a modest improvement in function arising from Repair-HD could be significant to patients. Moreover, a disease-modifying treatment for HD would represent an example of a dementia being treated by regenerative medicine. Repair-HD will develop a specific set of tools for quality assessment of differentiated cells, and fully validate them in HD animal models to prepare them for clinical use. This will act as a template for the development of the full translational pathway, including all essential quality control measures for cell replacement therapy in other neurodegenerative conditions. Professor Stephen Dunnett (Deputy Coordinator) is the co-director with Professor Rosser of the Brain Repair Group in the Cardiff University School of Biosciences. 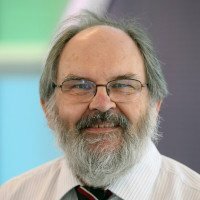 He has internationally recognized expertise in animal models of PD and HD, development of novel tests for analysis of cognitive and motor function in these models, systematic functional assessment of cell transplantation, and analysis of the mechanisms of functional recovery, as the basis for translational and preclinical development of methods for cell therapy in human neurodegeneration. Professor Anne Rosser (Coordinator) heads the South Wales clinical neurology service for HD as consultant neurologist. She chairs the UK HD research network and the UK arm of the European HD Network, and serves on the Scientific Advisory Committee of the global project Enroll-HD. As a scientist, Professor Rosser co-directs the Brain Repair Group in the Cardiff University School of Biosciences with particular responsibility for neural stem cell studies, and is the clinical director of the Cardiff Foetal Tissue Bank. More information on the project, as well as a list of participating sites and investigators, can be found at repair-hd.edu. 1 Quinn N, Brown R, Craufurd D, et al. Core Assessment Program for Intracerebral Transplantation in Huntington’s Disease (CAPIT-HD). Mov Disord. Mar 1996; 11(2):143-150.? 2 Kefalopoulou Z, Politis M, Piccini P, et al. Long-term clinical outcome of fetal cell transplantation for Parkinson disease: two case reports. JAMA Neurol. Jan 2014; 71(1):83-87. Acknowledgements: Repair-HD has received funding from the European Union’s Seventh Framework Programme for research, technological development and demonstration under grant agreement n°602245. 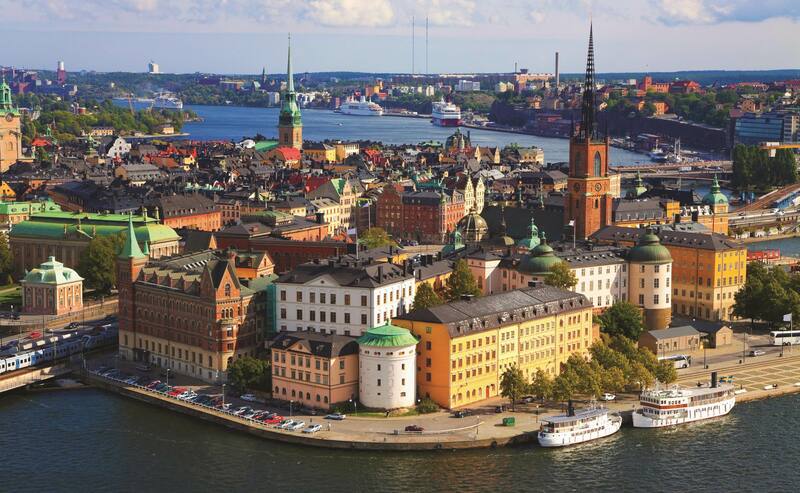 Stockholm, Sweden was home to the 2014 MDS Congress. The June 2014 MDS Congress held in Stockholm, Sweden, focused on emerging and experimental therapies for movement disorders. Novel imaging techniques, biomarkers, and models for HD progression and promising cell-based therapies emerged as particular highlights of the Congress’s sessions on HD. Ongoing clinical trials were also highlighted at the Congress. A session entitled “An update on Huntington’s disease,” chaired by Drs. Joachim Ferreira and Sarah Tabrizi, featured presentations on the importance of understanding the neurophysiology of HD when designing HD trials; biomarkers and other objective measures; and a look at ongoing studies. Dr. Bernhard Landwehrmeyer presented a poster on the PRIDE-HD study, a recently begun randomized, controlled trial testing a larger dose of pridopidine than prior studies to attempt to demonstrate a more significant signal of TFC improvement than seen in the MermaiHD and HART studies (see HD Insights, Vol. 4).6 Dr. Anne-Catherine Bachoud-Lévi reviewed the possibilities and pitfalls of stem cell therapy for HD during a session on improving clinical translation of stem cell therapy for neurodegenerative disease. She described the disappointing and highly variable results of pilot studies conducted since 2000, and her work to improve translation of stem cell therapy for HD. Another session explored HD as a model condition for novel gene silencing approaches. Dr. Blair Levitt described attempts to create an allele-specific silencing approach that will allow selective silencing of mutant huntingtin (mHTT) while enabling continued expression of wild-type huntingtin (HTT), using antisense oligonucleotides. This approach down-regulates mHTT and up-regulates HTT, resulting in lasting neurological benefit and symptomatic improvement in mouse models (see HD Insights, Vol. 3). Dr. Nicole Déglon highlighted another approach using small interfering RNA (siRNA) to target messenger RNA (mRNA) prior to translation. Her lab currently focuses on several issues raised by this approach, including whether gene silencing needs to be allele-specific; identifying the best viral vectors; exploring the long-term effects of expressing this RNA within cells; and how to optimize delivery to the human brain. All of the presenters discussed the need for better animal and cell-based models (see “Animal Models of HD,” p. 2, and “Meet the Investigator,” p. 4). The Congress sessions on HD provided an excellent meeting place for clinicians, industry leaders, researchers, and students to exchange ideas and share knowledge. The future of HD research seems bright, with many exciting therapies on the horizon. 1 Niccolini F, Reis Marques T, Haider S, Muhlert N, et al. 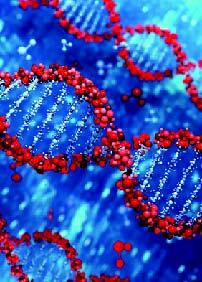 Brain phosphodiesterase 10A (PDE-10A) density in early premanifest HD gene carriers [abstract]. Mov Disord. 2014;29 Suppl 1:575. Available at: mdsabstracts.com/abstract.asp?MeetingID=801&id=111563&meeting=MDS062014. 5 Venuto CS, Dorsey ER, Kieburtz KD. Huntington’s disease progression model of total functional capacity scores [abstract]. Mov Disord. 2014;29 Suppl 1:592. Available at: mdsabstracts.com/abstract.asp?MeetingID=801&id=111580&meeting=MDS062014? Dr. Hoa Nguyen is a board-certified clinical geneticist who devotes his time to oncogenetics and predictive testing for HD. As a researcher, he leads the HD Working Group at the University of Tübingen. His team recently participated in the MitoTarget project, a three-year translational research program funded in part by the European Commission and led by Trophos, to study mitochondrial abnormalities in neurological diseases, and to test the company’s lead compound, olesoxime, in these diseases. He has also contributed to the development and description of the BACHD rat, a novel transgenic rat model of HD. 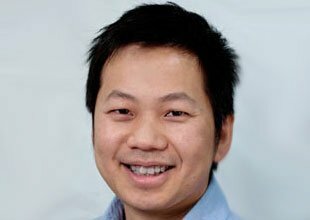 Dr. Nguyen recently discussed his work with HD Insights. The following is an edited transcript of the conversation. HD INSIGHTS: Dr. Nguyen, you are both a clinician and a researcher. Can you describe your clinical practice? NGUYEN: I do most of the predictive testing and counseling here, including for HD patients and families. Currently I am working more with oncogenetics. As you may have heard, Angelina Jolie spoke publicly about her BRCA-1 mutation, and since then, a lot of requests have come in! HD INSIGHTS: So Angelina Jolie is driving traffic to your center? NGUYEN: Yes! The number of patients has increased by about 200 percent. HD INSIGHTS: Tell us about your experiences with predictive testing for HD. NGUYEN: Unlike the US, we do not have genetic counselors in Germany, so all the genetic testing and counseling is done by medical doctors. I do what a genetic counselor does in the US, but I also discuss potential treatments. I try not to talk too much about treatments with HD patients, because we don’t yet have any, but I try to give some hope, and some insight into ongoing research. We follow very strict guidelines for predictive testing. In the first session we usually just talk about HD, the family history, possible outcomes, treatment options, and so forth. Patients also receive counseling with a psychiatrist and neurologist before we actually do the test. We give patients a bit of time to reflect on their decision to undertake predictive testing before they actually come in for the blood draw, and then a couple of weeks later, they can return for the results. I think predictive testing is more common here in Germany and in Europe compared with the US, possibly because of insurance issues. 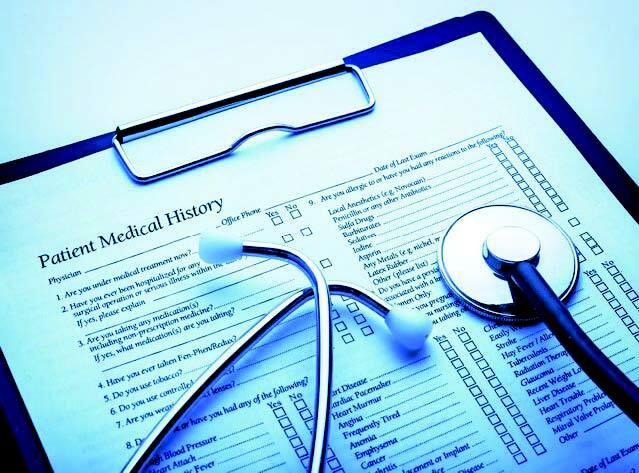 In Germany, testing is all paid for, and there is no possibility of people losing insurance. About 30 percent of patients who come in for predictive testing and counseling actually proceed with testing. HD INSIGHTS: One of your primary research projects has been the development of the BACHD transgenic rat model. What are the benefits and disadvantages of this new model? NGUYEN: Most people in the HD field work with mice, mainly because transgenic mouse models are easier to generate. However, a rat has several advantages compared with a mouse. First, rats are larger animals, so there are more possibilities for imaging studies in rats than in mice. Second, in rats you can do more biosampling, such as CSF, and you can also do longitudinal biosampling. From a behavioral standpoint, most behavioral research has been done in rats and the research has just been adapted to mice. However, we actually don’t know that much about the physiology and neurological circuitry in mice. Early electrophysiology was also mainly done in rats, so we have a much better understanding of these kinds of things in rats than in mice. And last but not least, there are some compounds that have better pharmacokinetic dynamics in rats than in mice. For example, we were recently approached by a company that has an autophagy compound that they would like to test in rats rather than in mice because it was much more toxic in mice than in rats. Of course there are disadvantages with rats. Cost is a problem, because rats are bigger animals and need more space, and treatment studies and compound testing may be more expensive in rats if you must use more compound. Another disadvantage is that it is much more difficult to generate a knock-in rat model than a knock-in mouse model. We are currently working with CHDI on generating a knock-in rat model, and that has been quite difficult. HD INSIGHTS: Could you describe the differences between a knock-in animal model and a transgenic animal model? NGUYEN: A knock-in animal model expresses the gene of interest in the same place as in the human genome. In the case of HD, this is on chromosome 4. A transgenic animal model can express the gene anywhere, and this may lead to disruption of other important genes, which may cause unexpected problems. HD INSIGHTS: Has anyone looked to see whether current transgenic animal models have this problem? NGUYEN: No, no one has done that research in detail. HD INSIGHTS: There are also some other animal models of HD. What are your thoughts on those? NGUYEN: There is a pig model that is especially interesting, and also non-human primate models developed by Anthony Chan at Emory. These models have the advantage of bigger brains compared with the rat and mouse model, and their brains are relatively similar to human brains. Again, the disadvantage is cost. You cannot breed pigs and non-human primates as easily as rats and mice, and they have longer gestation periods. With the non-human primate models, if you were to use the full human gene, you would have to wait years before you got the phenotype. So instead, you use a short fragment of the gene and over-express the fragment with a very high number of CAG repeats. These primates have a very severe phenotype and cannot reproduce. I think this model can be used for symptomatic and some treatment studies, but in the long run, you probably want a model that can reproduce from generation to generation, and that you don’t have to generate again and again, because every time you generate a transgenic animal, the gene may incorporate in a different region with different expression. Currently there is no non-human primate model that you can actually breed and keep for generations. HD INSIGHTS: You have started to use your BACHD rat model to screen drugs. Can you tell us more about that? lateral sclerosis (see “Meet the Compound,” p. 6). We knew that olesoxime somehow targets mitochondria and we thought we could test it in our rats. Surprisingly, we didn’t see much effect on the motor phenotype, but we saw improvement in the cognitive and anxiety-related phenotypes. 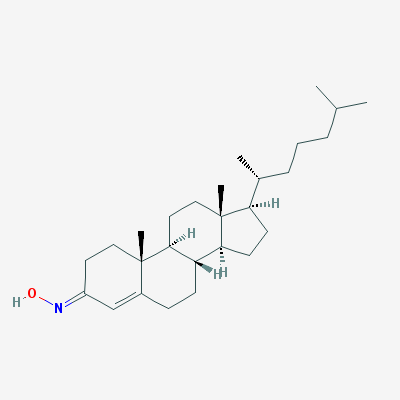 Olesoxime seems to work totally differently from what we had thought. It doesn’t work much on mitochondria – it made some changes to mitochondrial function, but what was more interesting to us was that at the biochemical and neuropathologic level, treatment with olesoxime increased the amount of full-length soluble huntingtin, which is mainly mutant huntingtin, and reduced the amount of fragmented huntingtin, and aggregation. This is one of the first compounds we have seen that decreases the cleavage of the full-length protein and actually changes the amount of mutant huntingtin, the main target of the disease. Now we are working on understanding why this happens. We have found that calpain is activated in our transgenic rats, and use of olesoxime decreases calpain activity. There have been studies showing that calpain cleaves huntingtin into fragments. We showed that olesoxime’s inhibition of calpain activity reduces the cleavage of full-length huntingtin, which leads to the increased levels of full-length soluble huntingtin, reduced levels of huntingtin fragments, and reduced number of aggregates.This is our current area of research, and we are trying to figure out how it all works. It seems very promising to us. HD INSIGHTS: What areas of science or therapeutic development are you most excited about? NGUYEN: I’m very interested in treating patients, and in new treatments in general. In particular, I think the various gene silencing and huntingtin-lowering strategies have been quite successful in some studies. These include the usual RNA interference or antisense oligonucleotide approaches, but we are also working with our collaborators in Leiden on some exon-skipping approaches that have been successful in some studies in Duchenne muscular dystrophy. The idea is that you actually skip an exon where you think there is an important cleavage site, so for example, you could think of skipping a whole region of the calpain cleavage site, or even the CAG repeats. There’s also some interesting work in post-translational modification coming from William Yang’s lab. I think these are some of the most interesting new strategies coming up now. HD INSIGHTS: What about trials in premanifest HD? Do you think we are ready for those trials? NGUYEN: I think that is the way to go. We probably have a better chance of modifying the disease if we treat sooner rather than later. Whether we are ready or not is a question for clinicians who actually run those clinics, but from what Sarah Tabrizi (see HD Insights, Vol. 1) and Ralf Reilmann (see HD Insights, Vol. 6) have found in TRACK-HD, there seem to be robust changes that could be used as biomarkers to track disease progression. HD INSIGHTS: Any final thoughts on HD? NGUYEN: I think we’re at a very exciting time right now for HD research. Clinical studies such as PREDICT and TRACK have given us a lot of information on the natural course of the disease, and prepared us very well for clinical trials. Now we can actually use this information to test more compounds. It is very exciting to be in HD at this moment; I hope that we can find something quite soon. An early focus of studies that used animal models of HD was the characterization of disease-related phenotypes. These phenotypes included measures of motor, cognitive, and affective function, as well as biochemical and neuropathological changes such as dysregulated mRNA transcripts; loss of neurons and neurochemical markers; and atrophy of striatal and cortical structures. 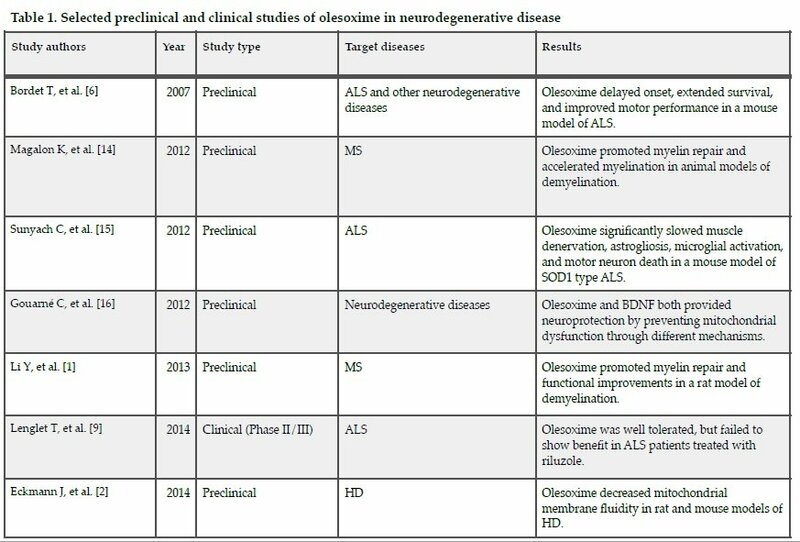 Many of the phenotypes established as a result of these studies have subsequently been used as endpoints in preclinical trials of pharmaceutical and genetic interventions, and continue to be useful in ongoing efforts to develop therapies for HD. Studies of animal models of disease have benefited from technological developments that provide new tools with which to tackle biological problems. Optogenetic and genomic engineering technologies are two advances that have gained popularity in animal studies in recent years. Optogenetics provides genetic-based tools that allow precise control over the firing and function of defined neuronal populations.4 Coupled with electrophysiological techniques, optogenetic studies are providing novel insights into the role of specific neuronal populations and neural circuits in HD.5,6 Genomic engineering technologies such as zinc finger nucleases, transcription activator – like effector nucleases, and more recently CRISPR-Cas9 nucleases, which permit precise editing of the genome in an efficient manner, are revolutionizing disease modeling by allowing the rapid creation of genetically-modified animals, and in species that have traditionally been challenging to genetically modify.7 Genome engineering technologies also offer the tantalizing possibility of modeling genetic disorders in large animals, allowing greater approximation of the human condition. These tools are bound to benefit ongoing efforts to establish refined animal models of increasing sophistication and relevance to HD. Much has undoubtedly been learned from animal models of HD. While their true predictive value can only be assessed once the ultimate goal of developing an effective treatment for HD is achieved, there is great hope that the experience gained over the past two decades in establishing relevant models of disease, coupled with recent technological advancements, will help accelerate the realization of this objective in the very near future. 1 Pouladi MA, Morton AJ, Hayden MR. Choosing an animal model for the study of Huntington’s disease. Nat Rev Neurosci. 2013 Oct;14(10):708-21. doi: 10.1038/nrn3570. 2 Ehrnhoefer DE, Sutton L, Hayden MR. Small changes, big impact: posttranslational modifications and function of huntingtin in Huntington disease. Neuroscientist. 2011 Oct; 17(5): 475-92. doi: 10.1177/1073858410390378. Epub 2011 Feb 10. 3 Southwell AL, Warby SC, Carroll JB, Doty CN, et al. A fully humanized transgenic mouse model of Huntington disease. Hum Mol Genet. 2013 Jan 1; 22(1):18-34. doi: 10.1093/hmg/dds397. Epub 2012 Sep 21. 4 Fenno, L, Yizhar O, Deisseroth K. The development and application of optogenetics. Annu Rev Neurosci. 2011;34:389-412.doi: 10.1146/annurev-neuro-061010-113817. 5 Plotkin JL, Day M, Peterson JD, Xie Z, et al. Impaired TrkB receptor signaling underlies corticostriatal dysfunction in Huntington’s disease. Neuron. 2014 Jul 2;83(1):178-88. doi: 10.1016/j.neuron.2014.05.032. 6 Cepeda C, Galvan L, Holley SM, Rao SP, et al. Multiple sources of striatal inhibition are differentially affected in Huntington’s disease mouse models. J Neurosci. 2013 Apr 24;33(17):7393 406. doi: 10.1523/JNeurosci.2137-12.2013. 7 Gaj T, Gersbach CA, Barbas CF. ZFN, TALEN, and CRISPR/Cas-based methods for genome engineering. Trends Biotechnol. 2013 Jul;31(7):397-405. doi: 10.1016/j.tibtech.2013.04.004. Epub 2013 May 9.